Although scientists have long agreed that antibodies are in integral part of building up the body’s immune system, there is new evidence that strongly suggests genetic factors play a large role in determining how well the immune system builds and uses these antibodies when fighting disease. In a recent study, “researchers from James Cook University’s Australian Institute of Tropical Health and Medicine (AITHM) and the University of Queensland’s (UQ) Diamantina Institute have analyzed blood samples from 1835 twins and thousands of their siblings.” The team looked at the body’s immune response to “six common human viruses, including the Human Herpes virus, Parvovirus, Epstein Barr virus and the Coxsackie virus.” The team determined that genes passed down by parents are the major factor in how powerfully an immune system responds to diseases. “These genes determine whether you mount an intense or weak immune response when confronted with a viral infection,” says Associate Professor Miles. We Didn’t Start the Fire…Gut Microbes Did. Many scientists have hypothesized that infants’ gut microbiota could influence the development of their immune system. Recently, a test led by Drs. Christine C. Johnson at the Henry Ford Health System in Detroit and Susan Lynch at the University of California, San Francisco, but this theory to test. Specifically, they set out to examine the relationship between an infant’s gut microbiota and their relative risk of atopy and asthma. The researchers inspected the composition of gut microbes in stool samples from almost 300 infants—all part of a diverse study group born in and around Detroit between 2003 and 2007—by means of examining sequence variation within ribosomal RNA. Ultimately, the team found that the infants could be divided into 3 separate groups, each with distinct bacterial and fungal gut microbiota. When blood samples obtained from the infants at 2 years of age were tested for sensitivity to allergens, the 3 microbiota groups had significantly different risks for allergen sensitivity. The “high-risk” microbiota group had a relatively lower abundance of certain bacteria and a higher level of some fungi, and was more likely to be diagnosed with asthma at 4 years of age. This seeming link between gut microbiota and allergy and asthma was also manifested when other factors associated with allergic disease—such as breastfeeding—were controlled. Moreover, the researchers found that the high-risk group had a distinct set of metabolites that lacked anti-inflammatory fatty acids and breast milk-derived oligosaccharides that were found in children in the low-risk microbiota group, increasing vulnerability to inflammation. Recent research has discovered a unique ability in bats to carry diseases but remain symptom free. This ‘super immunity’, as it has been called by researchers, is currently a mystery to scientists but could one day provide methods for achieving super immunity in humans. Bats are know to carry many diseases that are deadly to humans like the Ebola virus, Hendra virus, and MERS (Middle Eastern Respiratory Syndrome). For some reason, their immune system allows them to not get sick or show any signs of the disease. Research published in the journal Proceedings of the National Academy of Sciences might allow us to better understand why this strange phenomenon occurs in bats. These researchers looked deep into the immune system of bats, especially into the interferons. An interferon is defined as “a protein released by animal cells, usually in response to the entry of a virus, that has the property of inhibiting virus replication.” According to the research, bats only have three interferons, which is less than a quarter of the number of interferons possessed by humans. “This is surprising given bats have this unique ability to control viral infections that are lethal in people and yet they can do this with a lower number of interferons” says Dr. Michelle Baker, an immunologist at CSIRO’s Australian Animal Health Laboratory. Researchers also found another notable difference in how bat immune systems work as a whole. While most mammals only activate their immune systems when they are infected by something, bats seem to always have active immune systems. Having the immune system active at all times can be dangerous in most animals because it can be toxic to cells, but bats seem to be perfectly fine. Researchers at the University of Colorado Boulder have recently discovered that early life exercise can improve the activity of the gut microbiome. The gut microbiome is the next big thing in scientific research as scientists discover its affect on both general health and disease progression. “Our gut microbiota contains tens of trillions of microorganisms, including at least 1000 different species of known bacteria with more than 3 million genes”. Microbiota, found in the intestine, help with a range of bodily functions such as digesting foods that the stomach is unable to, producing vitamins, and helping the immune system. ‘‘Exercise affects many aspects of health, both metabolic and mental, and people are only now starting to look at the plasticity of these gut microbes,”. Bacteria reside in infants’ intestinal tracts after birth to assist digestion and immune development. Exercise increases the effectiveness of these bacteria, and a healthy gut biome promotes better brain function and causes antidepressant effects. Scientists studied exercise and its effects on the gut microbiome using juvenile rats and proved this theory. The rats that exercised during their early lives developed a better microbial structure. The adult rats that exercised could not catch up to the rats that exercised as juveniles. Do you think that this is an obvious or an unexpected idea, that early life exercise strengthens the gut microbiome? Does metabolic health usually coincide with mental health? Why would the gut microbiome be related to gene-making? According to a recent discovery posted in Science News, a typical American diet, consisting of poorly nutritional foods, leaves one prone to getting sick by weakening their immune system. Interestingly enough, this issue is rooted in cells that are not your own. In your gut microbiome, there are countless varieties and numbers of bacteria, all working away at the food that passes through your gut. Now, these bacteria are actually quite manipulative, and besides from feeding off of the food that you eat, teach your immune system what to attack, like an instructor or tutor for your immune system, albeit a biased one. 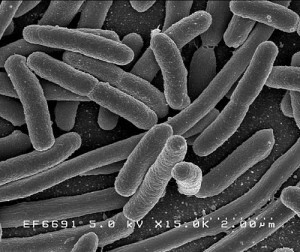 These bacteria have colonized your body. They’re not just going to let some pathogen get in the way of their free meal ticket. What happens when you eat certain foods, like junk foods, is that your gut microbiome changes. Different bacteria thrive on the fatty or sugary foods while other bacteria that survive off of more complex starches and carbs fade away, changing the demographic of your gut microbiome. This limited variety also limits the amount of invaders your immune system knows as hostile, or understands how to deal with, and therefore, you are more susceptible to disease, or medical complications. 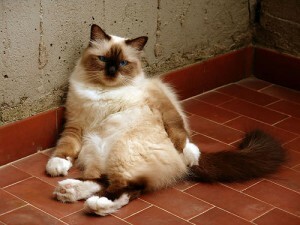 This was proven by taking samples from fit and obese humans and inserting them in otherwise sterile mice. Their resulting microbiomes grew, and the mice with the obese implant suffered more medical problems than the mice with the fit implant. This is because there were not enough “trainer” bacteria in the first mice’s gut to help train it to fend off disease, and thus it got sick more easily. So don’t go blaming your immune system the next time you get sick. It may be your fault for avoiding real, nutritional food (not just salad), and not taking care of it. The moral of the story is to eat your vegetables and serve the bacterial overlords that have taken host in your body. 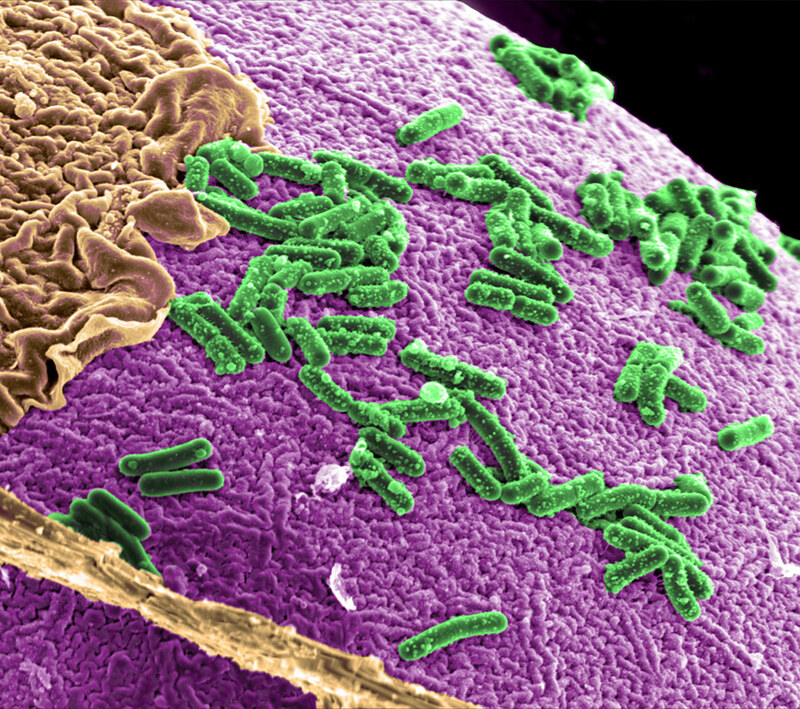 There are trillions of microbiota living in the average human intestine. These microorganisms have formed a mutualistic relationship with humans and take on a number of functions including digestion, vitamin production, and the prevention of harmful bacteria growth. In addition to these essential roles, new research shows that four types of these organisms may prevent asthma. 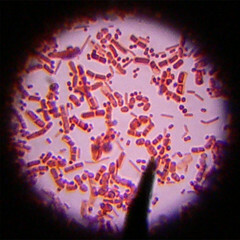 The four types of bacteria are Faecalibacterium, Lachnospira, Veillonella, and Rothia. Currently, some scientists think that these bacteria, FLVR for short, help prevent asthma by creating chemical byproducts. These byproducts are thought to help train the immune system to attack harmful germs and to prevent inflamation. Having these microorganisms is essential for the development of children. It is possible that the absence of the bacteria can lead to many health problems for people, including asthma. Stuart Turvey, a pediatric immunologist at the University of British Columbia and a co-author of the study, thinks that being exposed to the FLVR microorganisms at very young ages is essential for preventing asthma and has said “Having the right bacteria in place at the right time is really important, especially in those early months of life.” Despite their research, scientists do not know much about why the immune system possibly malfunctions when it is not exposed to the bacteria. However they do know that the immune system becomes “confused” and creates inflammation in the lungs. These new findings on asthma could possibly explain why asthma’s prevalence has tripled to quadrupled in first world countries in the past 30 years. The advanced medical knowledge and technology in these countries could possibly be creating an over sterilized world. Due to more and more doctors treating common sicknesses with antibiotics, human intestines are starting to become too clean and they lack the essential microorganisms including FLVR. The absence of of these FLVR bacteria is likely to put more people at risk of developing asthma. One study showed that many Canadian school children had very low levels of FLVR bacteria, putting them at high risk of developing asthma. Another study performed on mice strengthens the viewpoint that these bacteria prevent asthma. The study examined new born mice by exposing some to FLVR and leaving the rest without the bacteria. The results showed that the mice exposed to the FLVR at very young ages had much lower rates of inflammation in the airways. Recently scientists have begun to discover why stress can have a negative effect on the human body. Although stress is needed when dealing with situations which require hormones to trigger a fight or flight, consistent stress can lead to a multitude of health problems. Chronic stress can lead to mental instability, and an increased risk in heart attacks, strokes, infection, etc. The decrease in health is due to inflammation and warped genetic material caused by epigenetics (chemical interactions that activate and deactivate regions of a genome to carry out specific functions). Recently scientists have discovered that changes in epigenetics can affect activity levels in genes which directly change responsibilities of certain cells including immune cells. The stress causes a genetic response that deactivates certain areas of a genome which stops an immune cell from working properly, which of course leads to an increase in diseases that cannot be properly taken care of. Hopefully, as we continue to understand epigenetics, we will be able to take appropriate steps that will both further our understanding of the human genome, as well as help increase the longevity and immune system of individuals. Mothers are often extremely protective of their newborn. Most moms are fearful that everything could potentially make their baby sick. Unfortunately though, there is no absolutely sure way to keep a child from getting sick. The immune system plays a huge role in keeping humans well. Two important parts of the immune system are antibodies and memory cells. Antibodies help kill harmful germs while memory cells help the immune system respond quickly to an infection and prevent disease. In fact, recent studies prove that the Immune system of newborn babies are stronger than people previously believed. Scientists involved in a study led by King’s College London, are reporting that newborn immune T cells can trigger an inflammatory response to bacteria. Originally, it was believed that babies immune systems were immature and therefore couldn’t trigger the same inflammatory response adults normally demonstrate. The team discovered that whilst T cells in newborn babies manufacture a potent anti-bacterial molecule known as IL8. It activates neutrophils to attack the body’s foreign invaders. In addition, Dr. Deena Gibbons, Lead author in the Department of Immunobiology at King’s College London believes that this “mechanism by which the baby protects itself in the womb from infections of the mother.” Next, she plans to better understand the reasons that there are many differences between the immune cells in newborns and those in adults. The T Cell activity demonstrated by newborns could be used for future treatments to boost the immune system or neonates in intensive care (place with major risk of infection). This article is very interesting and important because it is vital to keep newborn babies as healthy and safe as we possibly can. 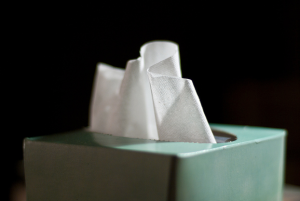 Sometimes it can be as simple as following common measures such as hand washing, avoiding people who are most likely to be sick, snotty noses or hacking coughs. A mother should try to do anything she can to limit the demands placed and a baby’s immune system in the early months to keep her baby healthy. I chose this article because I know what it is like to be a patient in a Hospital and the precautions that doctors take to prevent further sickness when the immune system is not fully developed or strong. Article: King’s College London. “Immune system of newborn babies stronger than previously thought.” ScienceDaily. ScienceDaily, 21 September 2014. <www.sciencedaily.com/releases/2014/09/140921145104.htm>. Weak Immune Systems Are Good? In a recent article published, it is said that baby’s weak immune systems are good because they let in good bacteria. A recent study suggests that babies are deliberately vulnerable to bacterial infections in the months after birth. This vulnerability allows good microbes to enter the baby’s gut, skin, mouth and lungs. Perhaps we could use this system to treat infections in infants and change the way babies are vaccinated. To test this theory that the weak immune systems let in good bacteria, scientist Sing Sing Way proposed a experiment. Coming from an infectious-disease background, the pediatrician from Cincinnati Children’s Hospital used mice to test this theory. He compared the immune cells in week-old mice to those in adult mice. The younger mice had a higher proportion of red blood cells. With this, he found that these cells suppress the immune response by making the enzyme arginase. Sing Sing Way then gave the young mice antibodies that removed the red blood cells and stopped the production of arginase. When infected with Listeria Monocytogenes the mice’s immune systems fended off the bacterium. However without the arginase, the mice’s intestinal cells became inflamed. Ofer Levy, from Boston Children’s Hospital, concluded that reducing the inflammation must be the body’s reason for initially suppressing the immunity- “If there were no mechanisms to dampen inflammation, the newborn would fall apart”. What do you think of Levy’s conclusion and this new study? Osmosis Jones is the story of a white blood cell police officer, Ozzy, who teams up with a cold pill, Drix, to save Frank from a deadly virus. Of course being a children’s movie Osmosis Jones isn’t a completely accurate depiction of the human immune system, or body in general, but just how accurate is it? In the movie the major conflict arises when Frank, the human, eats an unsanitary egg. On this egg lives the virus, Thrax, who is a deadly pathogen. So far the movie checks out. In the human immune system the first line of defense are barriers between the inside of the body and the outside world. Some of these barriers include the skin, mucus membranes, tears, saliva, sweat and stomach acid. In the movie the virus does penetrate one of these barriers, in this case the mouth, to enter the body. This is accurate to how a virus may enter the human body. After this the movie becomes less and less accurate to how the human immune system functions. Although there is detection of a pathogen the only response Frank’s immune system has in the movie is through the use of the police force, the white blood cells. This is completely inaccurate to how the human body fights off a pathogen. When the body detects a pathogen (virus or bacteria) mast cells release histamines to dilate the blood vessels (this is never shown in the movie, especially because the blood vessels are shown as highways, but thats another matter altogether). 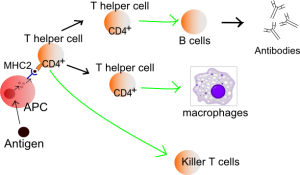 The next step in the immune response is macrophages come and engulf infected and dead cells and they release cytokines that attract other immune cells to the area. Neutrophils and natural killer cells then kill the infected cells. The closest thing to this second line of defense is the police force and their communication. They have radios and ways to communicate to call for backup, although it is extremely inaccurate to the way the immune system really functions. The third line of defense that the Human body uses is specific defense. This includes B and T cells and the steps taken to target the pathogen specifically and the infected cells. Through the processes of Cell-mediated response and Antibody-mediated response the immune system targets the infection and destroys it. Both of these processes are not depicted in the movie in any form. This along with the ending (don’t worry I won’t spoil it) are both inaccurate to anything that could happen in the human body. So Osmosis Jones isn’t the most scientifically accurate movie of all time, but that doesn’t stop it from making a great movie. The inaccuracies in the film can be excused by the fact that it is a children’s movie and not a new theory about the immune system. I mean how many kids would want to sit though a movie that was 100% accurate? You would lose all of the car chases, the drama, the suspense, the mucus filled dams, and the explosions. Overall I really enjoy Osmosis Jones, although I don’t recommend using it to study for your next science test. If you’re like me, you hate taking medication: it’s at times completely unnecessary, and who wants the hassle of having to remember actually take the meds? Well, I have good news for us “lazy” ones: at times when we’re sick doing nothing is actually the best medication! Have you ever noticed that whenever we have a problem, we tend to think that it can be fixed with some type of medication? Headache? Tylenol or Advil. Tummy hurts? A lovely dose of the horrendously pink Pepto should do. Sore throat? Oh it must be the early symptoms of strep throat–here’s some antibiotics. Let’s just forget about all medications that exist today–it’d be like how cavemen lived. They had no medications, no drugs, simply their bodies which kept them alive and healthy for most of the time. We need to give our bodies more credit–after all, they are made to maintain homeostasis. According to an article written my Dr. Danielle Ofri, a professor of medicine at NYU, sometimes not taking any medication to alleviate a “medical condition” is actually the best medication for our bodies. Doctors have the tendency to prescribe medication when they find that something is “wrong” with a patient, and patients likewise want something done when something is “wrong.” Like everything else in the world, every action a doctor makes has a reaction. 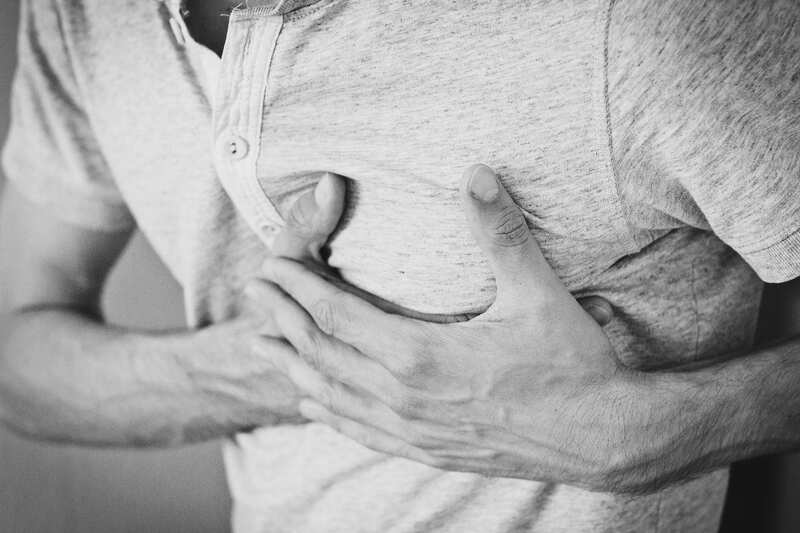 Most frequently, this reaction that occurs from the physician prescribing an additional medication is a reaction within the body of the patient. Often, especially in elders, there are multiple doctors to one patient, as a result, prescribe multiple prescriptions which sometimes causes detrimental affects to the health of the patient because the medications react with each other and create further problems for the patient, which leads to the prescribing of even more medications. So, rather than acting immediately, let’s just stop and think for a moment…is it perhaps better to just chill and see what happens? Uh, yeah. There are some doctors (the super smart ones) who practice this “doing nothing,” and believe “If the patient is doing fine right now, why rock the boat?” This method is called clinical inertia, which is generally looked down upon, but why? Dr. Ofri wrote “doctors who tend toward inertia might actually benefit their patients by protecting them from overzealous medical intervention.” In an article from the American Medical Association, which focused on diabetes, cholesterol and hypertension, it was found that in these three diseases, it is perceived that “lower” is better, but it was found that lower levels in sugar or pressure are associated with higher death rates. So…what’s the lesson? Of course not all patients are the same, but when it comes to “fixing” a “problem,” your doctor should understand that there is room to stop and think for a second. We’re all like balances, and little illnesses act as stones put on one side of the scale creating a bit of an imbalance, and rather than balancing the scale out with medication, we should sometimes allow our bodies to do their thing and balance it out themselves. I feel like I get sick more than most of my friends. I always come up with excuses as to why I am sick like: “I must have caught it from my sister”, “I’m just really stressed” or “my lack of sleep lowers my immune systems ability to fight off infection.” But now I have a new excuse: my genes. A recent article immediately peaked my interest because it may not be my fault I am more susceptible to illnesses. An experimental study involved seventeen healthy individuals who were infected with a strain of seasonal flu (H3N2). Nine out of the seventeen got sick. The researchers drew blood before the individuals were infected and every eight hours for the next five days. Then examined the activity of 22,000 genes in each blood sample. Patterns in gene activity could predict how sick people would get. This study illustrates that gene activity analysis might be able to help doctors determine the patients who are in danger of getting seriously sick. Despite these findings I think the researchers need to determine whether the different patterns of responses depend only on a persons genes. In this study in particular the properties of the specific virus that the individuals were infected with could have played a role in the findings, and maybe a different strain of flu would yield different results. Still, the next time I get sick I might be blaming the genes I inherited. Thanks Mom and Dad.